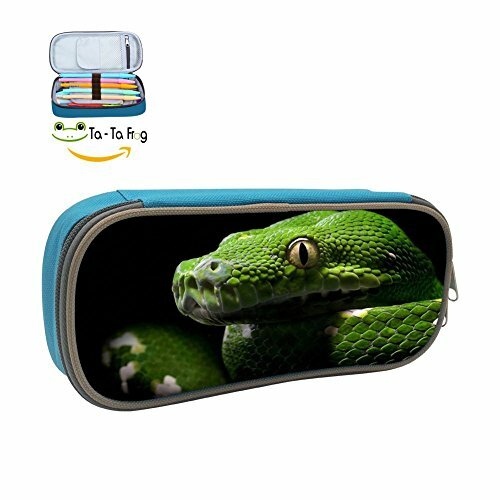 Good to Know This pencil case keep your contents organized and easy to find while still having the capacity, useful tool for you. Unit is sold as single Pencil Case. Pens and pencils (pictured) are not included. Internal Structure of Pencil Case Inside,it's compartments galore,the interior flap includes a mesh pocket to secure paper clips and bookmark clips. Below is a noter compartment, which is perfect to hide ID cards and secret notes.In the center. CAPACITY:Fits up to pens and pencils as well as small items and gadgets,great for use and looks nice. MESH POCKET: Keep important small notes, cards, and tickets in an easy-to-view compartment.mesh,suitable for both office & school use. Different unique designs and patterns,3 colors(Blue,Pink,Black) to choose. 8*4.1*2.1in-Length*Width*Height. If you have any questions about this product by davdeyoo, contact us by completing and submitting the form below. If you are looking for a specif part number, please include it with your message.